Agnes' parents are poor farmers. They have a small plot of land, but struggle to provide for Agnes' basic needs. Sponsorship for Agnes means the opportunity for an education and to have her needs met daily. Agnes enjoys singing. Her favorite subjects are reading and writing and she wants to be a school teacher when she grows up. Kercy's health is poor. She had hydrocephalus and had to have surgery to remove a brain tumor. Her parents are not able to fully provide for her and meet her special needs. Sponsorship will enable her to receive a special education and will provide for her basic needs. Kercy loves singing and wants to be a nurse when she grows up. Hanna's father is a senior pastor working among twenty daughter churches in his area. He has a burden to reach other areas, planting small cell groups that will grow into thriving churches. Hanna's father farms to support his family as everyone does in the mountains. Sponsorship for Hanna means that her school fees would be covered and some basic needs. It would be an encouragement for her father as he ministers to others. Easter's father is a pastor working with a new church plant in a remote mountain area. There are a few growing believers, but they are not able to support their pastor. Sponsorship for Easter means that her school fees and some basic needs would be covered.. It would be an encouragement for her father as he ministers to others. Anika's father is a pastor, but the church serves a very poor area and they are not able to support their pastor. There are three children in the family and grandparents as well. Anika's father is not able to meet all of the family's needs.. Sponsorship for Anika would cover her school fees and some basic necessities and would be an encouragement to her father as he ministers to others. Alice started at the deaf school in January of 2011. She has progressed well. She enjoys French and is doing well in all subjects. She helps in the garden and cooks. 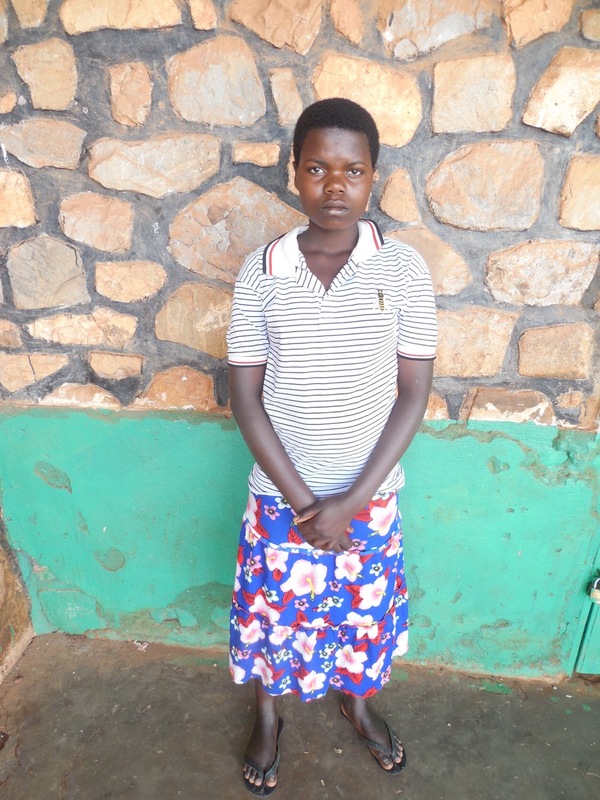 Alice needs a sponsor to help pay for her school fees and provide for her basic needs. Manju's father has left the family and remarried. Her mother works as a farmer, but struggles to provide for her daughter. Sponsorship enables Manju to attend school and have all of her basic needs met. Abigail’s parents are Awana missionaries. . Sponsorship provides Abigail with the funds to go to school and will provide for all of her basic needs. Anne Marie's health is not good. She is deaf and she has a severe problem with her left eye that makes it very difficult for her to see. In Burundi there are very few schools to help children who have special needs. Sponsorship for Anne Marie enables her to attend a school for the deaf where she can learn and have her needs met. Angel's mother died shortly after she was born. Father is unknown. She is in the care of a foster mother, who has no job and is unable to provide for Angel's needs. Angel loves singing and volley ball. Sponsorship for Angel will help to meet her immediate and urgent needs. Kenthia's father is unknown. His mother was very young (school aged), but recently died. Kenthia's aunt is providing care. A sponsor is needed to meet her immediate and urgent needs as well as helping to provide for her future educational needs. Benie Angel was abandoned and her parents are unknown. A sweet woman found this crying baby on the street and took Benie Angel to live with her and her two sons. . She needs a sponsor to help provide for her basic needs and education.